Deep thoughts for an early hour. You certainly have an eye for these challenging truths. Particularly appropriate for the Feast of St Stephen. May your Chirstmastide be bright. What are the parameters for "being in community?" I work with students in a university setting amongst 40+ colleagues, amounting to 50+ hrs/wk. We share personal, but limited-in-depth, things with each other. Would that be considered "community?" I share deeper things online with 'like-minded' others, amounting to several hrs/wk. Is that "community? I also spend time with 'loved ones' that I grew up with - we exchange emails and phone calls and gather together for holidays, weddings, and (more recently) funerals ... is that "community?" 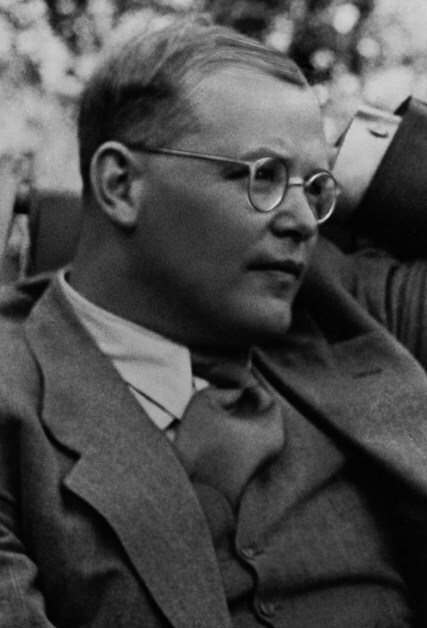 Or....is Bonhoeffer here referring soley to the traditional notion of "going to church?" My problem is the second: I cannot easily be in community, so I should beware of being alone. There are a couple of comments not coming through. My apologies. It's nothing I've done on my end, but one of those Disqus glitches. I think I would perhaps like being in community, if I could figure out how to do it without existing in an inconvenient manner. community is the basic social and ecological unit.